According to RAB-regulation, the company is obliged to reinvest 50% of the received profit in the modernization of networks. 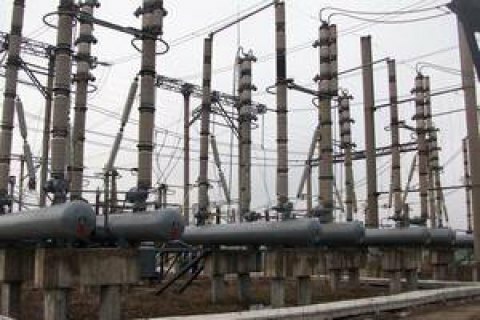 The National Commission that regulates the electricity and utility services, has set an optimal rate of return (12.5%) on invested capital in the framework of introducing incentive tariff formation (RAB regulation), former member of the regulator Volodymyr Yevdokymov, said as quoted by Ukrainian News. "I support the rate suggested by the Commission," Evdokimov said. RAB (Regulatory Asset Base) is a system of long-term tariff design aimed primarily at encouraging investment in the expansion and modernization of infrastructure. World practices have shown that RAB-based tariff regulation in the electric grid sector has several advantages for electric grid companies and customers over the existing cost-plus pricing system. Yevdokymov believes that the introduction of incentive regulation will increase the attractiveness of oblenergos' assets "because the investor will understand and know when he returns the invested funds and that there are mechanisms for the return of investments." The rate on the invested funds depends on the level of inflation in the country and the cost of borrowed capital. According to the methodology of RAB-regulation, the company is obliged to reinvest 50% of the profits in the modernization of networks, which will reduce the loss of electricity and increase the quality of services for consumers. This is the main difference from the existing system, when the power companies are not interested in working effectively and investing in the development of networks, but, on the contrary, they are trying to "inflate" their costs in order to get a big profit. Earlier, Dmytro Vovk said that the regulator has completed the development of a regulatory framework for implementation, which stimulates tariff formation for the distribution of electricity and transmission by backbone grids. In his view, the transition to incentive regulation will attract investment, improve energy efficiency, reliability and quality of services, and further reduce tariffs. The RAB-regulation of energy sector is widely used in Europe . The European Union in 2002 ordered the countries of Eastern Europe to apply RAB in setting tariffs for natural monopolies and the Czech Republic, Slovakia, Hungary, Poland, Romania, Bulgaria and several other countries moved to RAB regulation.